What a week (2 days actually)! This week was the start of getting the shop to look like a shop. Started by unloading all the shelving units, computer and printer. So far so good. Put the computer system together and was getting frustrated because I couldn't connect to the wireless network @thebank. So I took a break to get lunch and buy a chair....(need a comfortable chair for computer fights don't ya know). I was saddened and disappointed to discover there was now wireless card in the darn thing! No problem...just stop and get a wireless adapter in the morning! So I picked up a wireless adapter and 7 port USB hub then began to tackle the computer again. Did the adapter work? It might have worked if the hard drive hadn't failed! (not quite cause I didn't look closely enough at the requirements.....the one I bought didn't have drivers to work with windows 7!) With the hard drive cuput I was back to the store for a replacement computer. The good news...the system I bought is now on sale and got about $100 back which I put on the 3 yr protection plan I didn't get the first time round and still got $11 back! When I returned the rest of the yarn had been delivered....Now very excited! The computer is now up and running minus the wireless (returning the useless adapter for one that works with windows 7). 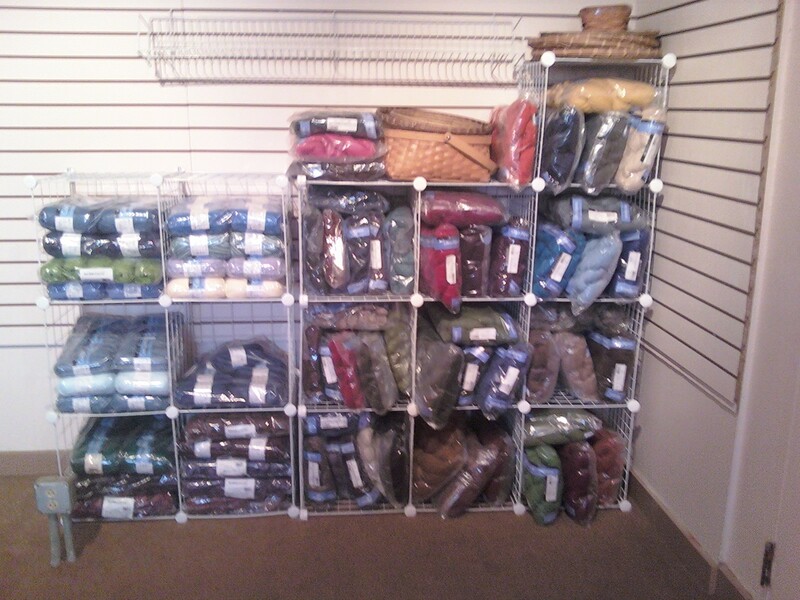 5 of the boxes have been opened and yarn entered into the computer. Next week will be even more fun...More shelves to put together, yarn to put into inventory, tags to make and boxes to break down to discard. Very exciting about the yarn delivery! 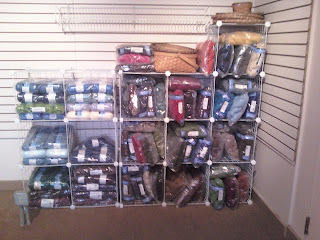 I have been spreading the word that YARN will be coming to Meadville soon!